If kit Manufacture: Allen Models Inc.
Cylinder Bore and Stroke:  2" x 3 1/4"
Cylinder Bore and Stroke: 2" X 4"
Built over a 7yr period with minimum number of castings bought. 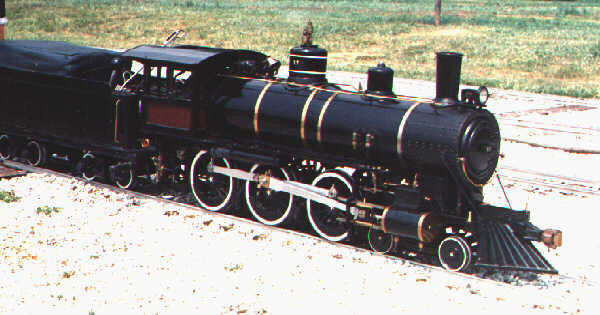 Extra heavy boiler shell, stays, and firebox were built by the owner. Hydrostatic tested to 375psi. Walsharts valve gear adapted by owner. Steve is now working on a Big Boy.